Your first month home with your new baby should be enjoyed. It should be full of sweet newborn cuddles, funny baby sounds and cherished memories captured on camera. Although you will be sleep deprived and at times feel overwhelmed adjusting to all the changes, with these five tips you can manage and take joy in your first month (and more) together. 1. Establish day and nighttime routines early. If you’re already a person of routine, this one is easy. If you aren’t, this baby is going to make you one. Establishing day and nighttime routines—waking, feeding, dressing, bathing and sleeping around the same time each day—as early as you can will make life easier for both of you. The first few days while you’re getting used to being home with a newborn and functioning on little to no sleep, you’ll work around his cues. Then, you can introduce a schedule based on his patterns. And remember, you have to be flexible with a baby, but that doesn’t mean you have to say yes to every visitor. 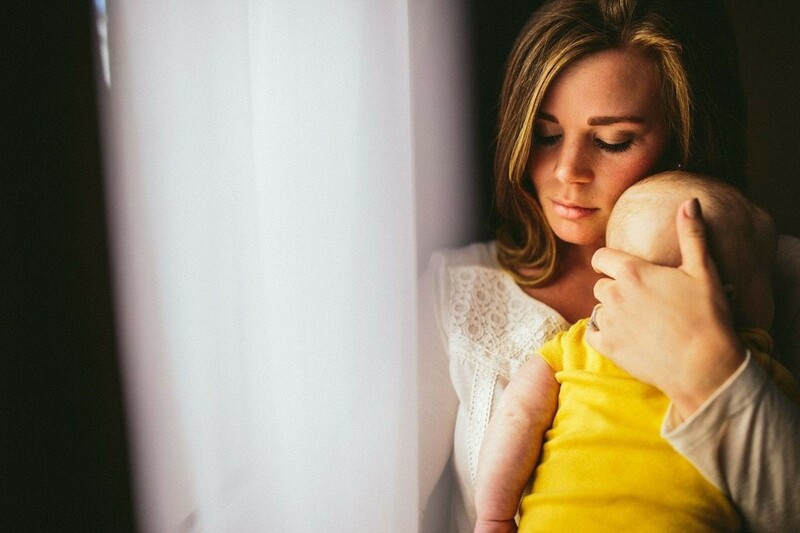 Right now, your baby’s health, sleep and your sanity are more important. 2. Meet your needs before feeding your baby. It’s maternal instinct to drop whatever you’re doing and feed your newborn the moment she cries for you. But, as you’ll learn if you’re breastfeeding, feeding your baby takes a while. You, of course, don’t want to take 10 minutes getting yourself together because by then your baby could be too upset to nurse. But give yourself a couple of minutes to go to the bathroom and grab a glass of water (it’s amazing how thirsty you get while breastfeeding) so you can relax and enjoy feeding and bonding with her. 3. Use a baby carrier. The key to soothing your newborn when he’s fussy is mimicking the womb. One of the best ways to do that is using an infant carrier. Baby wearing holds your baby right up against you so he feels safely snuggled and can hear the sounds of your body he’s used to. It also gives him the familiar feeling of your rhythmic motion. And bonus for you, baby wearing allows you to soothe and bond with your newborn while still being able to do things you need and want to do, like folding laundry and taking a walk. So find the best baby carrier for newborns that is safe and comfortable for you and him. 4. Don’t try and do it all alone. With that being said, don’t think you can or have to put your newborn in a baby carrier and do everything on your own. Get some postpartum support. Let your partner help, and ask him for help if you need it and he hasn’t offered. Ask family, friends and neighbors for help as well—and not just help with changing a diaper. You can do that short, two-minute task. Ask people to do the dishes, make dinner or give him a bath. Don’t feel guilty delegating some responsibility around your house and with the baby so you can get some sleep, let your body heal or just leave the house for 30 minutes. 5. Take an experienced mom with you the first time you leave the house. 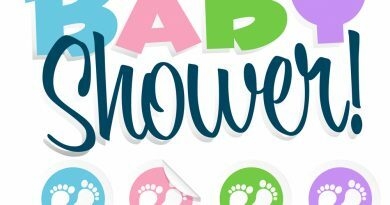 You may not plan on leaving your house with your newborn during her first month of life, but something could come up or you may find you’re going a little stir crazy. When one of those things happens, take a veteran mom with you, like your mom, sister, mother-in-law or friend. That first trip to a public place, whether it’s the doctor’s office or grocery store, can have you flustered quicker than your newborn can spit up all over her new outfit. You’ll feel more at ease and better equipped knowing you have experienced help by your side. ← Are You Ready to Buy an RV? The Toughest Job: Helping Your Troubled Teen.